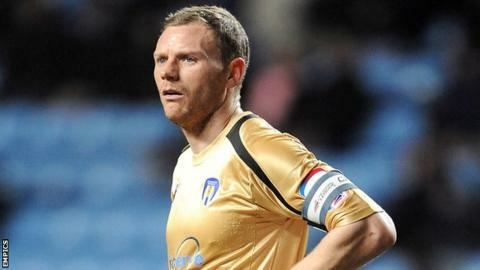 Out-of-contract Colchester United captain Brian Wilson will leave the club and join a side in the north west. The 30-year-old will end four years with the U's after playing 41 times in this season's successful fight against League One relegation. "I fully respect Brian and what he did for the club," manager Joe Dunne told BBC Essex. "I tried to keep Brian. I understand it's a difficult situation where there are clubs able to pay more than we do." Left-back Ryan Dickson is also out of contract this summer, but has been offered new terms. "Ryan Dickson knows where he stands. He has a decision to make," said Dunne. Youngsters Jordan Sanderson and Shaun Phillips have also been released.